Final little adjustments before paint. Thinking about a stranded pirate on a mechanicum mon-keigh world. Mood is aiming for Jack Sparrow at the World’s End meets Immortan Joe, but with a Blanchian twist.. Whatever that turns out to be. Nice, but considering the background this still looks very much like a stripped down haemonculii… It doesn´t really give off that pirate-vibe…? A different head would certainly help. It’s true and I’ve been contemplating the same thing for a while. The problem is that this is the very first and only eldar miniature I’ve ever owned, so there isn’t a bitz box to dig from.. The twist will have to be made by paint. A challenge, and also a great excuse to try weird new ideas. The non-existing Eldar bitz box – I have certainly been there. But I guess it is about getting starting on establishing it for later. I will certainly be working on expanding mine. On the model; I quite like him. There is a certain whole-ness on the way you build your characters. Nice! You’ve really been missing out. The DE range in particular has so many useful parts for Human conversions too. You should’ve let us know what you need and I’d sent some gear. Having said that. there is such lovely simplicity and completeness like Jakob says, to this conversion. And if it forces you to push things with the painting, hey, I’m all about forcing myself to paint differently. It’s such a good way to learn and grow. Cheers, currently about halfway there! Thank you Jakob! Means a lot. 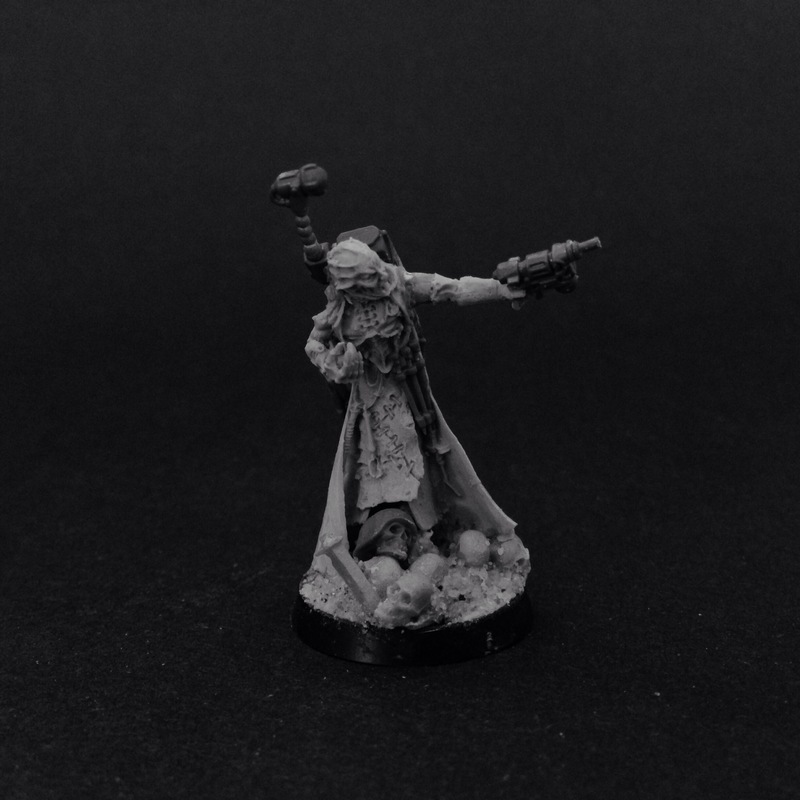 Simple conversion and an encompassing character were kind of the goals with this one. It brings to mind what Migs did a while back with the tempestus scions, when the miniatures seemed to lack something until they were brought to a group. This is kind of the antithesis of that. He does not belong in, or need a group..